Being a reserve goalkeeper is a thankless task. You spend all your time on the bench, never given ten minutes at the end of a game to impress. Unless the first choice gets injured, you’re unlikely to break into the side. When you do, it’s usually to give the main ‘keeper a break. Chances might be few and far between so when one does come along, you have to seize it with both hands. After a quarter of an hour of this weekend’s Burton and Blackpool clash, Myles Boney got that chance. The 21-year-old has come through the ranks with the Seasiders, but only has one appearance to his name. When the regular stopper, Mark Howard, went down injured, the Blackpool-born youngster got his big chance. Burton were already leading 1-0 and looked likely to extinguish the burning ambition of a Blackpool top six finish, but Boney had his chance to be a hero. Finally, after the years of hard work he was in goal for his hometown club. It took less than twenty minutes for his dream to turn into a nightmare. A tame effort by Jamie Allen shouldn’t have given him any trouble, but he dropped it and allowed it to squirm over the line. 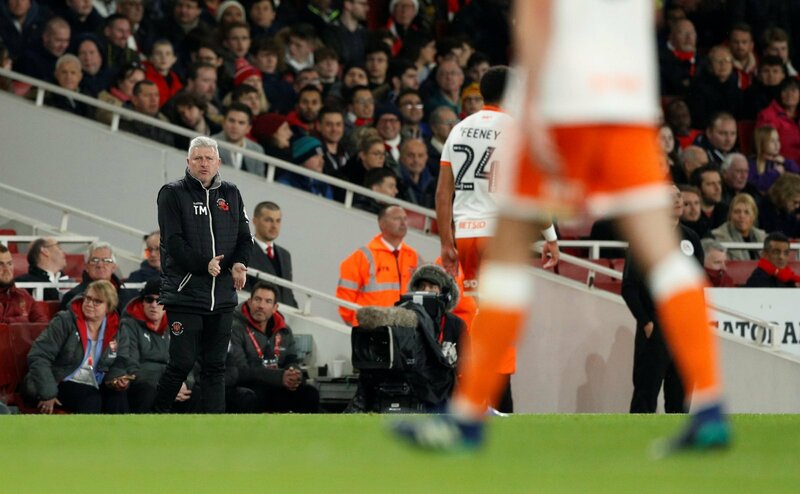 It didn’t cost them the game, Burton added a third before the afternoon was out leaving Blackpool four points adrift of the play-off spots. That’s not all Boney’s fault, but he’ll be devastated at how his afternoon went. There is some good news for the stopper. Manager Terry McPhillips quickly backed him in the local press, claiming he had the mental strength to hold his hands up in the dressing room and admit his error. It won’t mean he’s likely to get a run of games though. Whether he made the error or not, he’s a homegrown player filling a spot on the bench. Mark Howard is out for a while so it’s likely their other keeper, Christoffer Mafoumbi will be called back from international duty. Failing that, they’ll be able to call for an emergency loan. Whatever happens, Boney is unlikely to be back in goal next weekend. Whatever the manager says, however the error is dealt with and glossed over, Myles Boney will be devastated to have fluffed his lines on the big stage. It’s a tough life as a keeper, even tougher when things don’t quite go your way.